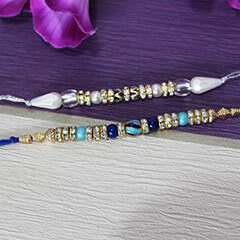 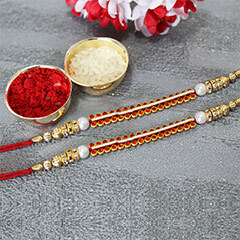 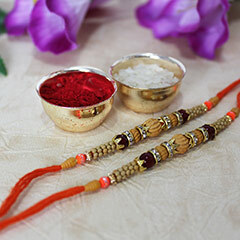 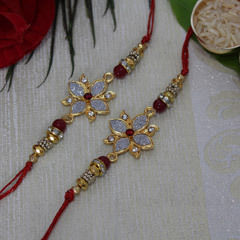 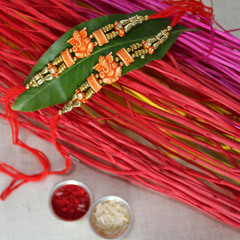 Want to make eyes of your brothers shine with glitters of stone studded Rakhi? 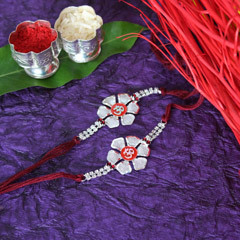 This Sparkling Silver Rakhi Set that has 2 Rakhis in it will perfectly accentuate wrists of both brothers of yours. 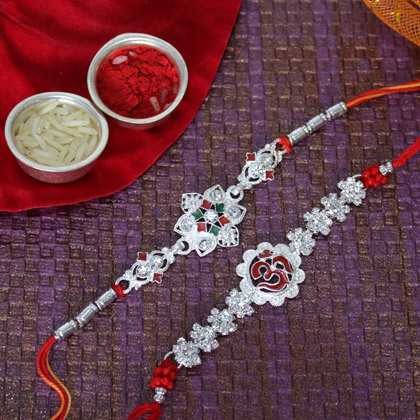 The perfectly intricate Silver Stone studded Rakhi has Om sign in the middle and the other one is crafted using sparkling stones in flower shape. 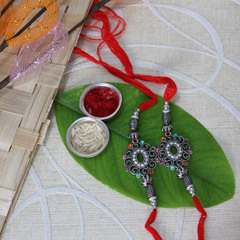 For the Tika Ceremony, we offer Roli & Chawal with silver containers.